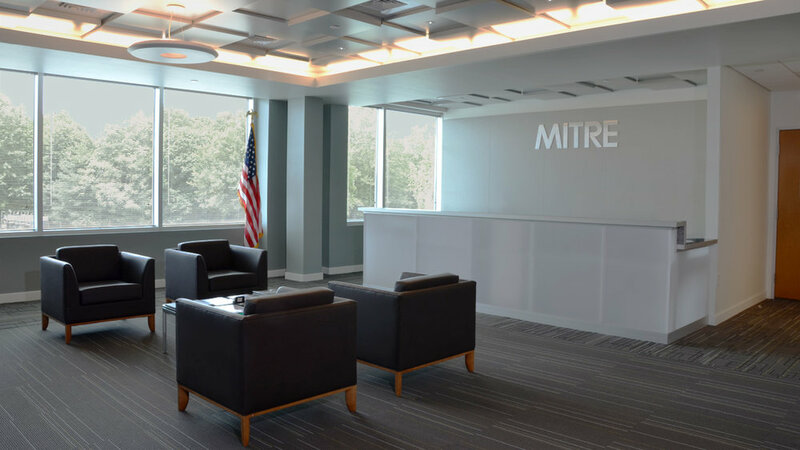 MITRE Aberdeen Phase One consists of approximately 35,000 SF of new offices, labs and lab server rooms, project rooms, huddle spaces, lunch room and a conferencing center. The conference center offers two large conference rooms, break out conference rooms, break out space and a catering pantry. 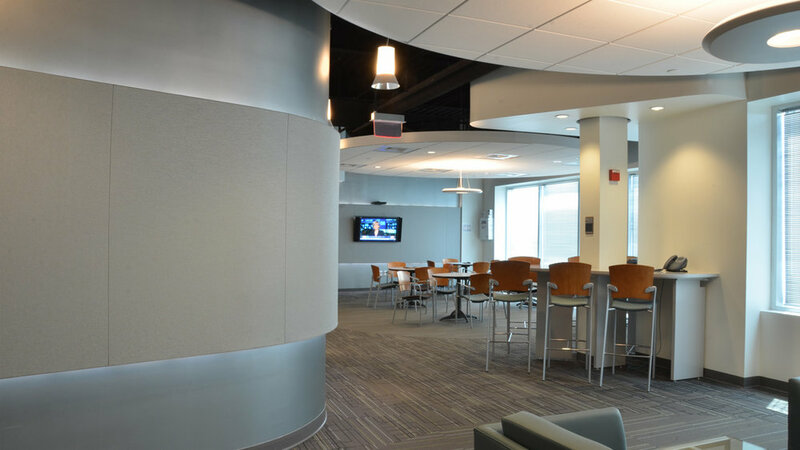 All conference rooms support a variety of presentation types, and also utilize a flexible furniture solution allowing the rooms to be reconfigured based on meeting types. The building is a LEED certified building. As a means to continue the sustainable design to the interior fit out, the MITRE Aberdeen space incorporates MITRE's green initiatives, including the use of sustainable materials and finishes, recyclable materials, energy efficient mechanical equipment and energy efficient lighting solutions.